We love to get our hands dirty with the little things that make a big impact. Most visitors to a website decide in the first eight seconds if they will read on. They use cues like images, whether certain terms and phrases are used in headlines, and ease of navigation. Search engines interact with your site in a similar way. Google and other search engines crawl websites looking for keywords in prominent places, freshness of content, and meaningful links between pages. In large part, this is what determines where your site will rank in the search engines. This, in turn, has a great influent on the volume of quality traffic to your site. Making your site attractive to the search engines is just as important as making it attractive to visitors. 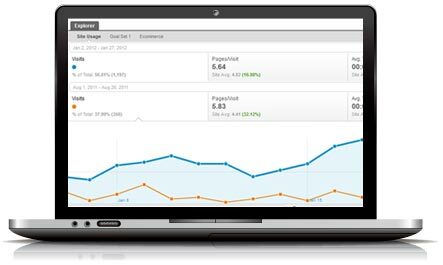 A knowledgeable SEO team can sometimes bring immediate spikes in visits. We use techniques that are innovative and above board, designed to win you long term success. One customer who came to us had tons of high value content for visitors but she didn't know much about how search engines look at sites. One of our SEO team members studied the site and made a few initial changes to the meta tags (which don't appear to human visitors). The following month, traffic to the site increase by 35% over the highest previous month. Traffic has continued to increased since. Obviously this kind of dramatic change won't happen in every case, but it illustrates the value of having someone who understands search engines on your team. On-site optimization, used in conjunction with quality link building, can greatly improve your rankings in the search engines.